my legs got me to run a 5K this morning – without stopping in 39 minutes – fastest so far – with 3 killer hills – doing it again Friday morning then my first official 5K is Sunday at 9am PS. I try not to think of my cellilite – there is one I absolutely hate – I don’t buy anything for it But I hate walking around naked in front of Will especially if I am walking away. You rock! That 5K on Sunday has nothing on you–go get it! Walking backwards can be dangerous. I bet Will doesn’t even notice. ;) Big hug! 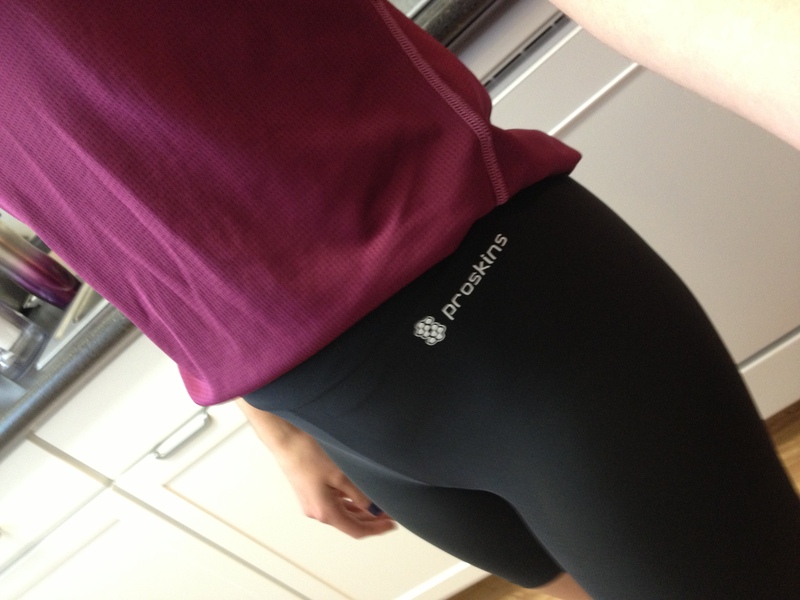 ProSkins also make an active and recovery line of compression tights. I use these daily after running (and sitting at my desk, and for airtravel). We reviewed them in our Poppy Sports blog ‘Squeeze Me’. What we liked about them aside from their compressive benefits was the fact they were void of large logos and plain black, so really easy to compress and recover with post-workout apparel, like a tunic. Other brands are much too endorsed with logos to make them wearable in an office for example. These meant we could extend the wear past the couch! Great to know, Melanie! Thanks!